Less than a week before Christmas, we decided to it would be fun to spend some family time together. The children are so excited about Santa coming, that I think they are going to burst. We try very hard to teach the children that the holidays are not just about toys, but also about giving to others and being together with family. This year we adopted an angel from an online Angel Giving Tree. Yesterday, we visited my in-laws, but I also want to create some special holiday memories with just our little family beyond Christmas morning. 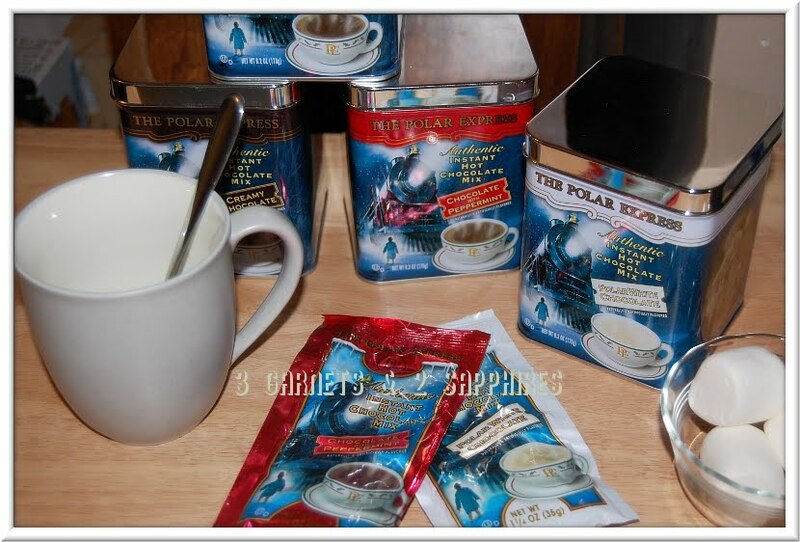 We started off with The Polar Express Instant Hot Chocolate, which came in a gift pack of 4 varieties from BJ's Wholesale Club. The twins opted for chocolate milk, but our oldest son and I were looking forward to this gourmet hot chocolate. He selected the White Chocolate, but I was anxious to try the Peppermint. Our son very much enjoyed his, but I think it was extremely rich and he could not finish the whole cup. Of course, he might have been full from all the marshmallows he had. He always asks for them on the side, which I have never understood. I absolutely loved the Peppermint hot chocolate . . . so much so that I think it may make it on my favorite products of 2010 list! I had purchased mini gingerbread house kits from our local Five Below store . . . one for each child. 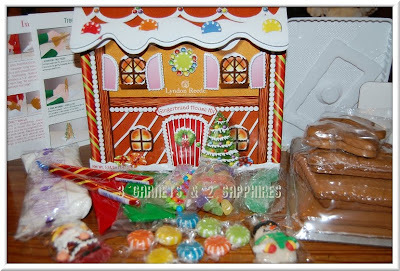 Then I received this gorgeous Lyndon Reede Gingerbread House Kit during last month's BJ's Wholesale Club event. 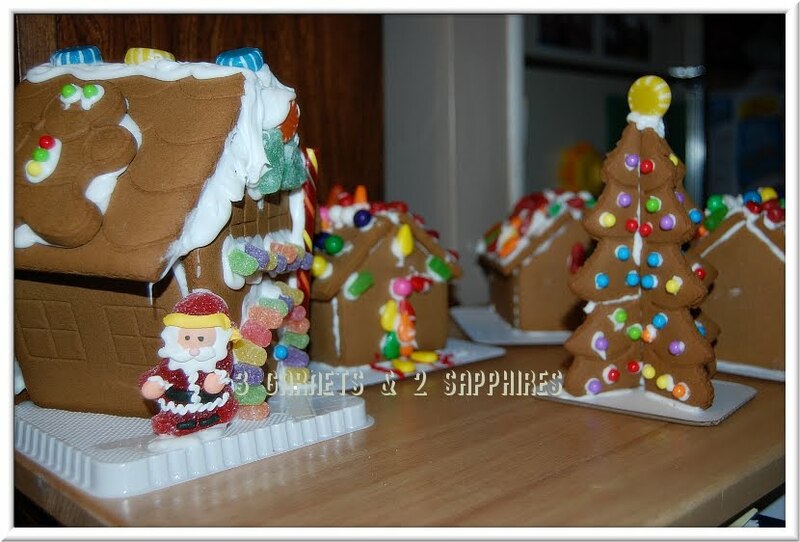 This made the activity even more fun because my husband and I had a house to decorate too. This kit came with a gingerbread tree, as well. 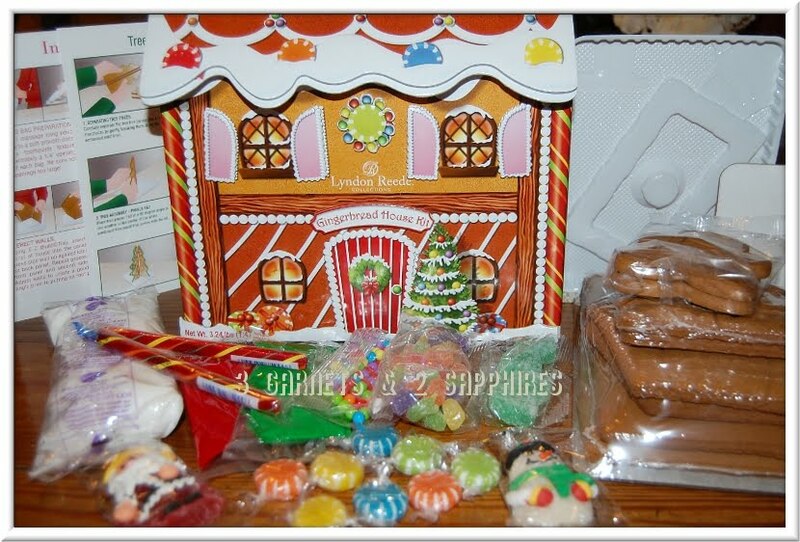 The candy that was included was top of the line, especially the decorative gum drop Santa Claus and Snowman. The children were anxious to eat our creations, so I had to take a photo of our little gingerbread neighborhood before it was devoured . . . Thank you to BJ's Wholesale Club for providing complimentary product samples for our family activity.